As a member of the Melbourne Family Wealth Management team, Daniel provides tailored, strategic financial advice to his clients and assists Executive Chairman Daryl Dixon with his Melbourne based clients. He has expertise in superannuation (including SMSFs and defined benefit funds), tax-effective wealth accumulation, retirement planning and redundancy advice. Daniel understands the intricacies behind navigating today’s complex financial environment. 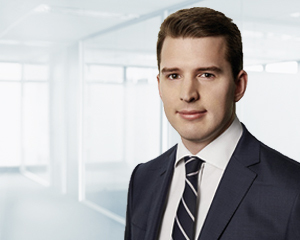 Daniel has played a key role in assisting clients to respond to the 1 July 2017 superannuation reforms, presenting at Dixon Advisory’s Melbourne seminar series and providing tailored strategy advice to assist clients to understand and respond to the complexities of the reforms. Within the Strategy Advice team, Daniel is also involved in mentoring and training, drawing on his technical expertise across a number of advice areas, and has been involved with various projects including the development of Executive Chairman Daryl Dixon’s eBook, ‘An Uncertain Future: Exploring the issues and options facing UniSuper Defined Benefit fund members’. Daniel has a Bachelor of Commerce (Economics and Finance) from the University of Melbourne and a Diploma of Financial Planning from Kaplan Professional Australia. Daniel is a Certified Financial Planner (CFP®) member of the Financial Planning Association of Australia and is registered with the Tax Practitioners Board as a Tax (Financial) Adviser.